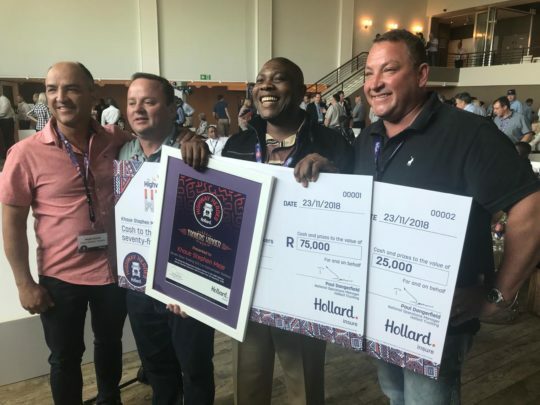 Stephen Meje has been named the overall winner of the 2018 edition of Hollard Highway Heroes, a gruelling competition in which truck drivers have to show that they are South Africa’s best. We decided to approach Hollard and gain some additional insights on this competition!! The competition this year recognized different categories of trucks – was this suggested by participants or a measure to widen participation? This was a suggestion by our clients and a measure by Hollard to ensure that the competition remains competitive and fair. Do you believe the challenges remain the same for all truck drivers or are their differences in the challenges for the drivers of different types of trucks? They vary substantially from truck type to commodity type and even road conditions. Tippers for example tend to do short distances within coal plants whereas speed will be low and fatigue, on the other hand, will be high due to long queues at the coal mines. There are very challenging and less challenging route and road conditions – Do you believe different routes may also impact on the truck drivers and their changes to be regarded as among the Top 30 Drivers? We have found that some routes can be very challenging with regards to inadequate safe stops, challenging mountain passes and driver safety concerns. All of which can influence driver behaviour. 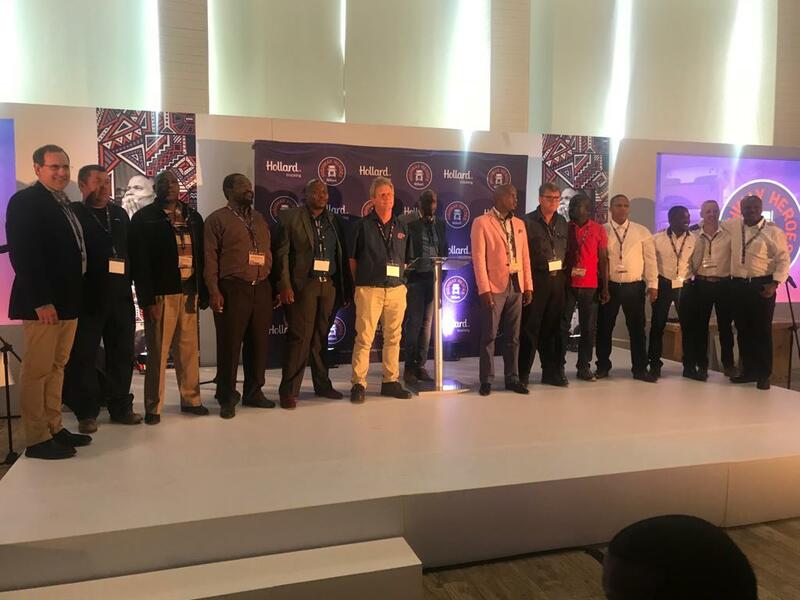 There are so many different fleet managers and telematics providers – How does Hollard measure the driving through telematics – do operators have a choice between telematics providers or do they have to use one specific telematics solution? All entrants have the freedom to use their existing tracking suppliers. The quality of raw data that is extracted from the existing system will determine whether the client will qualify for the Top 30 stage of the competition. We do not specify what tracking systems should be used, but it is highly recommended that a top of the range unit is installed within the vehicle to ensure that the data consistency meets the minimum requirement. We will then measure very specific weighted parameters such as speeding, harsh braking, fatigue day/night and distance travelled. Once the top 30 drivers have been selected, we will install a standard tracking unit across all vehicles to ensure that all information is measured from the same tracking system. Can you explain the various phases of the competition – how is the 1600 drivers narrowed down to the final 30? At what stages are telematics used and when are more intense evaluation e.g. interviews etc conducted? 1 March to 31 July marks the entry phase. Drivers are monitored from day one of this phase and therefore the sooner the client enters and inform their drivers the better. During this phase, weekly updates are sent to the client to inform the client of the progress of the driver. After entries have closed, all telematics data is consolidated into a single template where the alert counts are tallied and rounded to a score out of ten. The drivers with the highest scores will proceed to the top 30 phase (one driver per fleet only). All standard tracking units are then installed during the month of August. The Final phase starts on the 1st of September and commences for 45 days. Once complete, the winners are selected and announced at the annual HHH event. Have you witnessed any trends about the Highway Heroes Competition over the past few years in terms of companies/ employers continuing to step up their game? Yes, we have found that our clients were quite reluctant in the early years of the competition, however as every year passes clients become more and more enthusiastic about the positive results this competition yields. Clients are also upping their game with regards to their own in-house driver incentives in order to better motivate their driver’s pre, during and post competition. Have you seen some of the same truck drivers continuously performing at this level with their eyes firmly set on being recognized as a Highway Hero? Yes, we have. The margins are getting smaller and smaller year on year and our 2017 winning driver missed the 2018 title by a very small margin. The word is spreading and drivers are eager to be part of this initiative. One of the main aims is to reduce Risk – what has the feedback been from the side of the operator and the side of Hollard as the insurer – have you been able to achieve this goal!? Yes, we have and it is clear to see this through the pre, during and post-event statistics. Event counts dropped tremendously and this indicates a deduction in risk. Whilst it is very difficult to measure the true effect this competition has on owners, drivers and the public alike we are confident that we are making South Africa’s roads safer one driver at a time. Do our Hero truck drivers get enough recognition – are there other measures in place to ensure that it is not a once off prize-giving and prize money that recognizes these drivers? No, our drivers will never get the true recognition until the greater SA and government entities buy into this concept. It starts small. Driver’s lives are in danger every minute of the day and there is whole lot more that can be done around driver safety which links directly into driver appreciation. We are looking at more innovative ways in 2019 to reward drivers on a more permanent basis and we are excited to launch this initiative soon. Any other interesting bits of info the public needs to be made aware of about the Hollard Highway Heroes Competition? Just a feel-good story that will warm your hearts. One of our 2017 top 3 drivers, after winning his prize money that he worked so hard for, approached his fleet owner and asked if the company could have a braai for all the other drivers that work with him. The owner first disagreed due to the costs involved, after which the driver said “I would like to pay for the braai out of my winning money”. This lead to us including a braai voucher for all the top 4 category winners in 2018, and we believe that something so small can go a very long way.